Lightly padded convenient bottle bag made of grey imitation leather by Armani Baby. 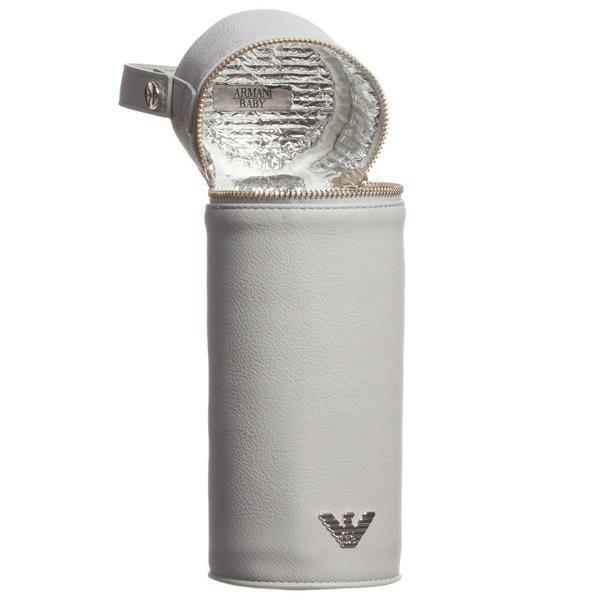 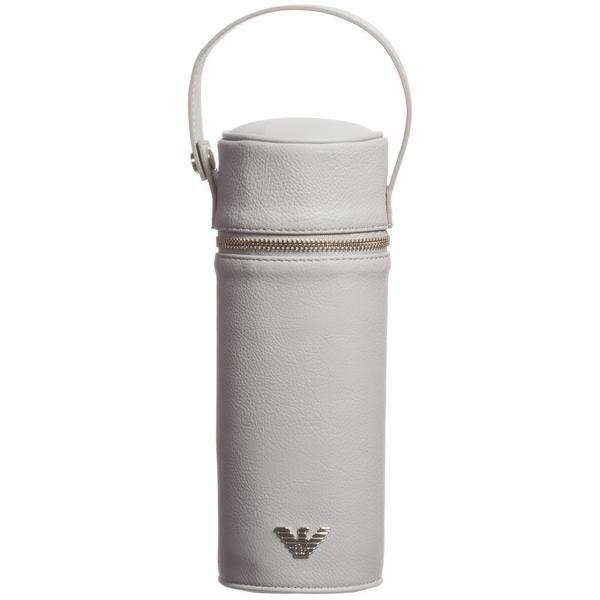 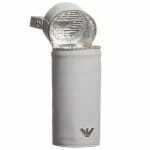 It is 24 cm long and has a silver Armani eagle logo on the front of the outer synthetic leather cover. 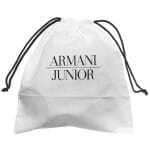 The handy bag has a wipeable outer cover with a zip fastener and a handle with popper fastener so the bag can easily be attached to the changing bag or a stroller. 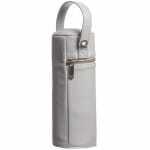 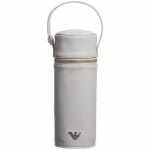 The feeding bottle bag has insulation inside to keep the bottle warm. 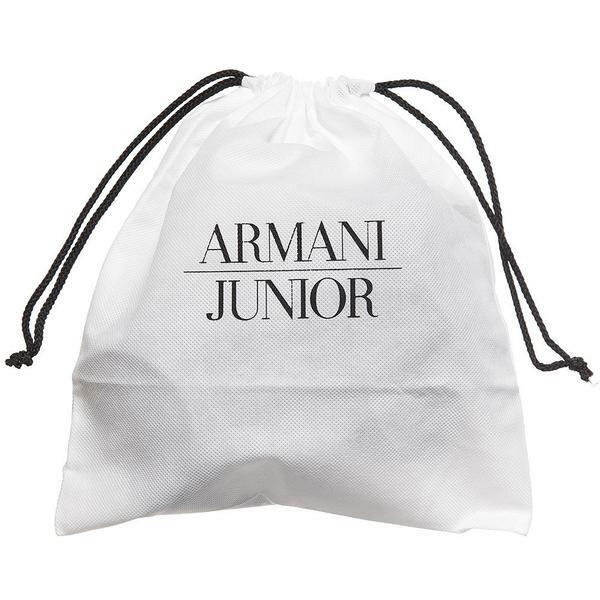 The set includes a dust bag and is perfectly suitable for both girls and boys.